MDB Ventures offers vaccum tubes and other items for sale. We also provide free helpful information related to vacuum tubes that can be downloaded from this site. To see a description of the information available, click on one of the name links below. After you've read the description, if you want to download a copy of the file, just click on the filename. This file contains information on tube transconductance. How it is computed and how it is used. It is one of the best descriptions around. It is simple and doesn't get very deep into the math. It is an old 1940s Bell Labs document written by T. Slonczewski. This file contains information on tube measurements, including mutual conductance, grid voltage, plate resistance, plate current and plate voltage. This is primarily a description of the underlaying physical aspects of the tube and how it works. The text only very lightly touches on the math. If you know Ohms law you will be perfectly comfortable reading this article. These two files contains information on how to test photodiode tubes as well as photoresistors and solid-state photodiodes. The text file describes how to perform the test, the second file shows the schematic. This file is a description of the common 80, 5Y3, 5Z3 and 5U4 type fullwave rectifier tubes. It also describes when and how you can substitute the tubes with other common varieties and how to replace them with solid-state diodes. This file is a simplified description of how rectifier tube circuits work. 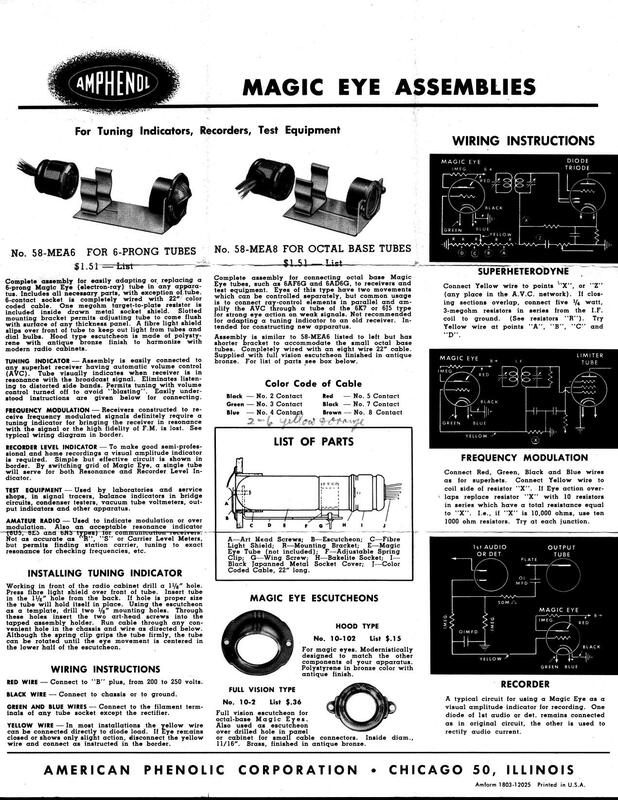 This file is a one page ad for the Amphenol magic eye tube mounting assembles It includes a detailed description of the assemblies and example diagrams for wiring eye tubes into existing circuits. This is a short text file that describes how to replace certain magic eye tubes with other similar magic eye tubes. This file contains a list of magic eye tube numbers. 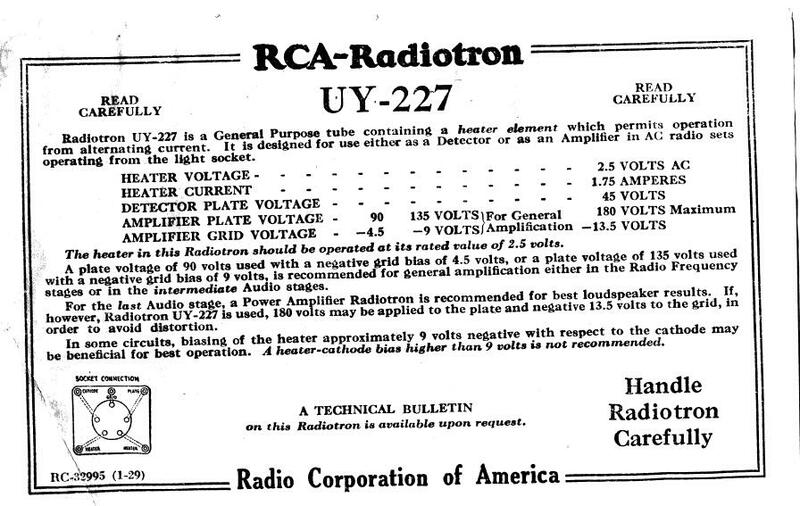 These two files are from a data sheet included in a RCA UY-227 globe tube box. The first is the data sheet for the tube. The second is the license agreement. Yes, you had to open the package to read the agreement. Sound familiar? This text file is a summary of the various common cathode dual triodes produced. This text file describes alternate solutions to replacing tripple triode tubes. The file was updated on 26 April 2017. 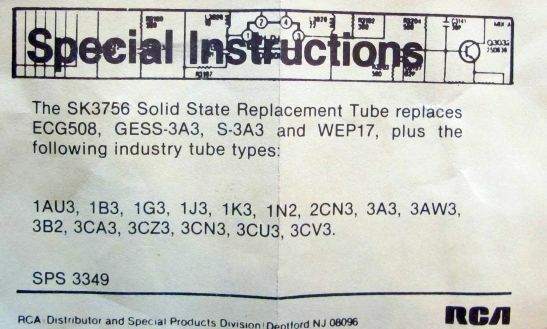 This text file contains a listing of the various triode/pentode tubes. The file was updated on 27 April 2017. This text file is a description of grid clips and how they supress microphonics. This is a zip file containing eight pages (JPG format) from a Burroughs document about their Nixie tubes including, data, characteristics and circuit designs. This is a zip file containing four pages (JPG format) from Burroughs documents about their B7971 Nixie tubes. This is a text file containing a long and rambling history of the 6SN7 and some of its successors as well as a side trip to design issues such as getters. This is a text file containing a discussion about low voltage space charge tubes. Low voltage space charge tubes are tubes that can operate at "safe" voltages (30 volts or less). This is a text file containing a discussion about tubes used in battery powered radios. A list of the common battery radio tubes is provided. 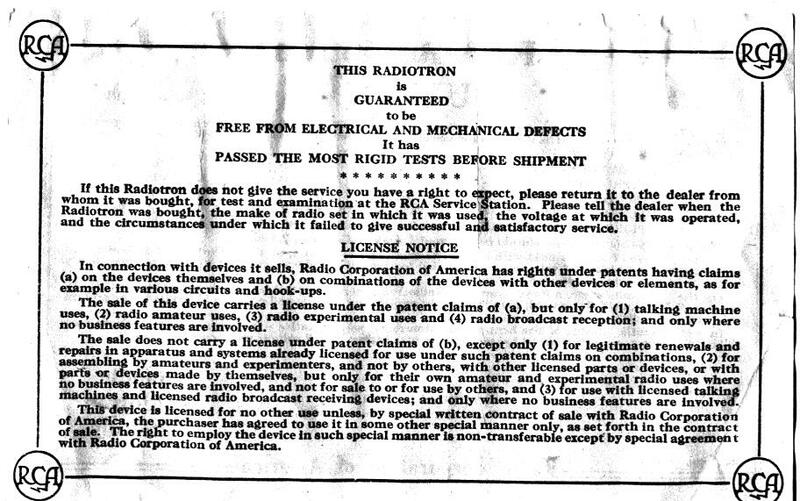 This is a zip file containing a scan of the 1954 Everready Radio Battery Guide for battery powered radios. This is a large format scan. This is a zip file containing a scan of the 1954 Everready Radio Battery Guide for battery powered radios. This is a small format scan (half the size of the large format). 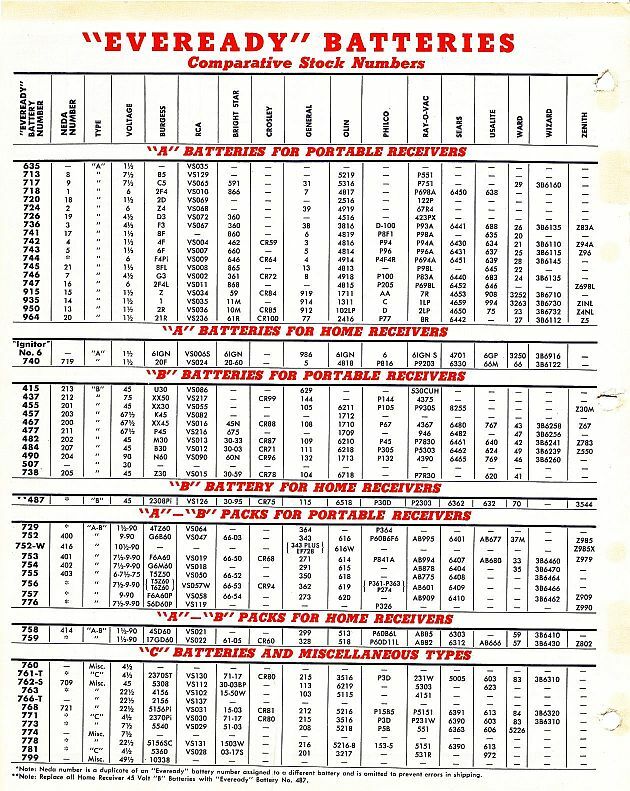 This is a jpg file containing a small format scan of the 1954 Everready Radio Battery Quick Guide for battery powered radios. This is a small format scan of the last page of the Everready Radio Battery Guide which contains a summary of the full radio battery guide. This is a text file containing a discussion about voltage regulator tubes. A list of the common voltage regulator tubes is provided. This is a text file describing how to build an adapter to use a 6G11 compactron tube in place of a 6GE8 tube. It consists of two jpg files stored in the zip file. This is a text file containing a description of the four basic tube tester types you will encounter, what makes them different from each other, and which will likely work for your situation. This is a zip file containing 17 pages of Hickok 539A Operator Instruction Manual including the schematics. This is a zip file containing ten pages of tube setup charts for the Superior model 820 tube tester. It also includes a page describing how to use the crt test adapter with the model 820. 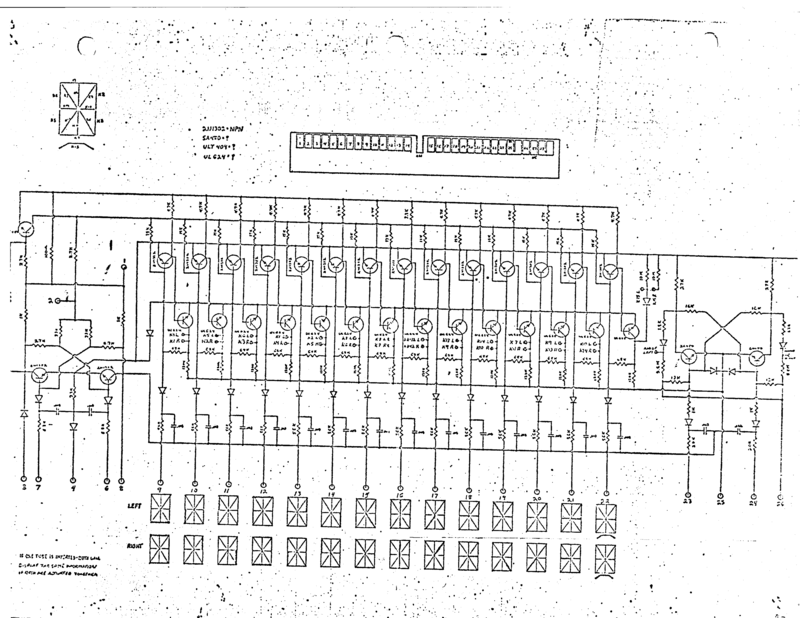 This file contains the schematic for the Jackson model 648R Tube Tester. These files describe what to look for when buying an Eico 666 or 667 tube tester, how to restore them and how to calibrate them, how to troubleshoot problems and how to repair the testers. It also includes some simple modifications that can be done to improve the reliability of the tester. Plus a couple files describing the meter circuit calibration and how to test for problems. eico666tester-meter-check.txt How to check the meter circuit. This file contains information on buying, restoring and calibrating the Eico 666 and 667 Tube Testers. This file contains information about testing tubes with the Eico 666 and 667 Tube Testers. How to verify existing test setups and how to create your own. This file is a copy of the Eico 666 tube tester instruction and construction manuals. The construction manual was provided as an insert to the instruction manual for the kit version of the Eico 666. These two zip files contain the instruction and construction manuals for the Eico 666 Tube Testers (1959 version). 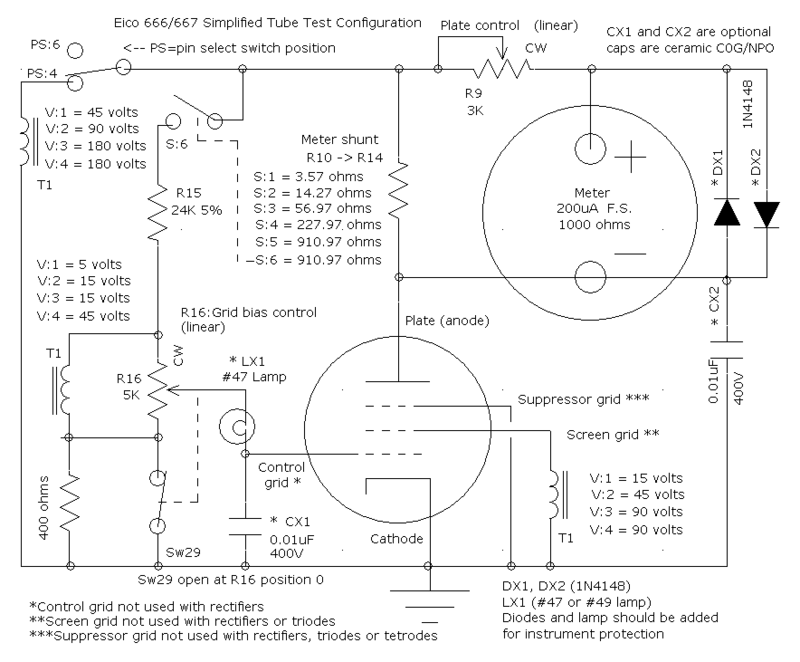 This file contains my annotated 666-05 setup chart for 666/667 the Eico 666 and 667 Tube Testers. Note: this is a photocopy of my chart, so it is a bit hard to read is some areas. This file contains information on radio vibrators, their operation and their replacements. This file contains information on transformer wiring color codes. This file contains information on ballast resistor identifier codes. 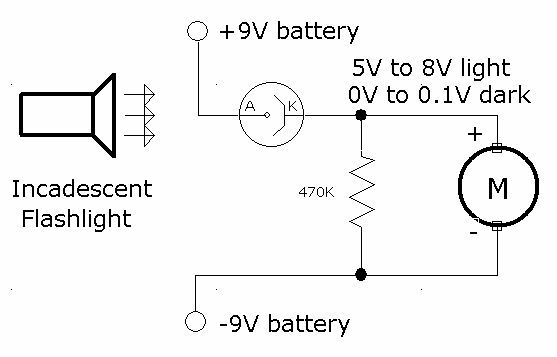 This file contains information on how to build a voltage doubler to drive a 12.6V tube heater from a 6.3V filament supply. This is a text file containing a discussion about hearing aid batteries. A list of the common battery types is provided. This is a text file containing a discussion about problems with ceramic capacitors.